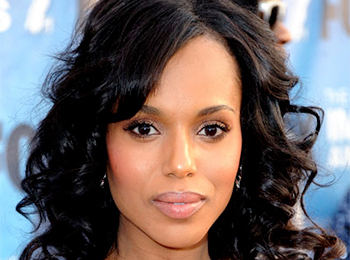 Kerry Washington is an award-winning actress who has numerous film and television credits. She is on the Artist Committee for Americans for the Arts, an organization that works to promote the arts in America. She is also on the board of V-Day, an organization dedicated to ending violence against women and girls. 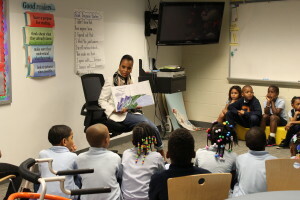 In 2005, Americans for the Arts presented her with the Young Artist Award for artistic accomplishments and exemplary leadership; in 2008, she was awarded the Phoenix Award for Commitment to social advocacy from the Congressional Black Caucus; and in 2009, she received the Artist-Citizen Award for public leadership in the arts from the U.S. Conference of Mayors. In 2015, Ms. Washington received the Vanguard Award at the 26th Annual GLAAD Media Awards. She dedicates much of her time to public service and is active on political and social issues. Ms. Washington was appointed to the President’s Committee on the Arts and the Humanities, and has been a Turnaround Artist since the program’s pilot phase, during which she adopted Savoy Elementary School in Washington, DC. She now works with Warren Lane Elementary School in Inglewood, CA. 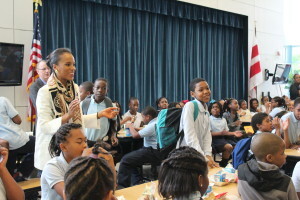 Ms. Washington has worked with students through workshops and class visits, and she has attended a number of performances and events to encourage students and the greater community.